The first of two Destination Shows in 2011 for Jackopierce took place in the beautiful wine country of Sonoma, California. 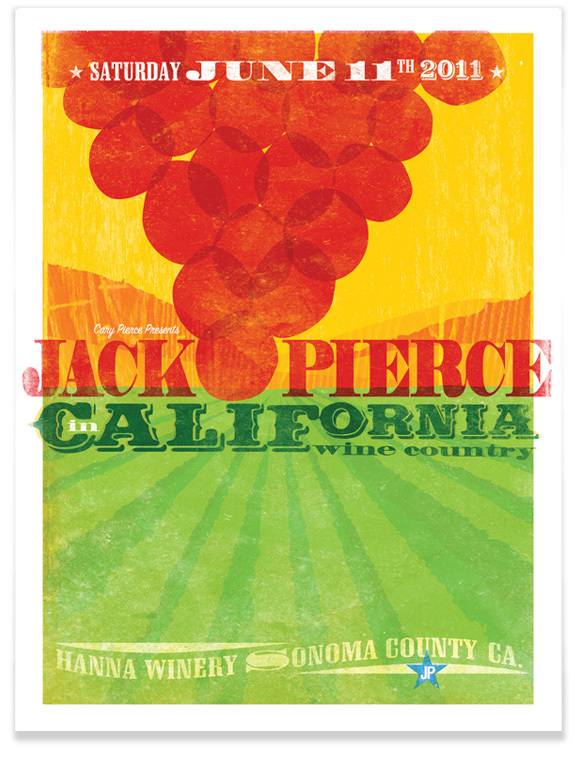 The rolling hills of the vineyards, the amazing boldness of the area and the sweet sound of Cary and Jack inspired the art and design of the poster. Click to head to itunes to hear more of Jackopierce’s music.